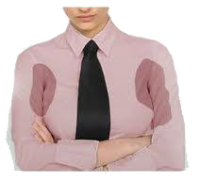 Excessive sweating is a common and distressing condition. Topical treatments do not work very well. 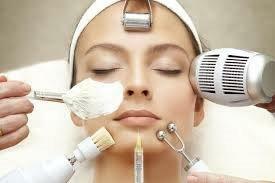 Botulinum toxin is effective but expensive and needs to be repeated every 6-9 months. Surgical options are available but many patients are reluctant to have surgery to treat hyperhydrosis. Infini radiofrequency treatment is designed to destroy the axillary sweat glands in the affected area. Why is the Infini excessive sweating treatment superior? The Infini treatment consists of multiple passes of microneedling that will release radiofrequency at established levels in order to destroy the sweat glands. Treatment of both underarms takes about 15 minutes. There is absolutely no downtime and people can resume their activities immediately. The results become apparent in about 1 week (we expect 50-75% improvement). A second treatment is performed a month later in order to destroy the remaining sweat glands. Rarely a third treatment is performed. There is no hair loss as a result of the procedure which may be attractive to male patients.